Someone is killing young girls in the once-peaceful parks of Stockholm - killing them after having his way. The people of Stockholm are tense and fearful. Police Superintendent Martin Beck has two witnesses: a cold-blooded mugger who won't say much and a three-year-old boy who can't say much. 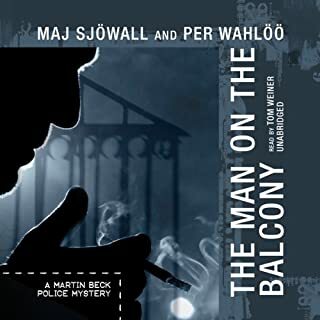 While not my favorite, all 10 novels in the Sjowall/Wahloo Martin Beck detective series are part of the exceptional ground-breaking evolution of police procedural s. As the current popular authors who do the intros for the audio versions all note, these novels, including The Man on the Balcony grow with time and have influenced and delighted at least two new generations of readers and writers. The Man on the Balcony may not stand on its own as an exciting or riveting novel, but in the context of the series it carries the main characters forward and supports a unique mood that is hard to characterize in a brief review. There is suspense, but it is muted by the irony, complex protagonist and crew of cronies and coworkers, subtle dialogue, descriptions of the pathetic state of affairs in the Swedish Police Force and society, struggles to find meaning, etc. All in all it is a work of art that may require some time for appreciation. I can fully understand why another reviewer only gave it one star. It is not surprising, that from the middle of the series, a seemingly weak and anti-climatic ending could be disappointing; actually, it was just part of the beautiful ,sad, sympathetic, unfulfilled, cathartic ‘not with a bang, but a whimper’- like point. One can certainly see many influences, from the detective series side, if you liked the Ed McBain 87th precinct novels, you will probably love this. 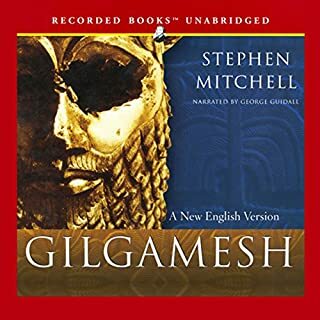 Here is a daring translation of Gilgamesh that is easy to listen to, although strong in language and flavor. It makes you feel like you are getting close to experiencing one of the seminal myth/legends in vivo, that all cultures and peoples have deep in their psyches. Also, there is a long commentary that follows the translation that is valuable in emphasising the intrepretive role of this translator and giving the listener/reader a way to evaluate his/her own reaction and perhaps judge any possbile bias in this translation. All in all, very pleasurable and valuable. In this incandescent novel, V.S. 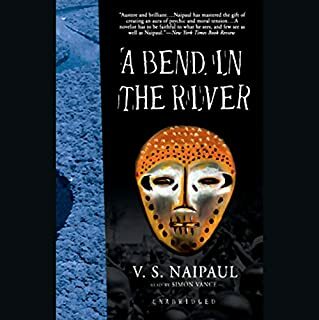 Naipaul takes us deeply into the life of one man, an Indian who, uprooted by the bloody tides of Third World history, has come to live in an isolated town at the bend of a great river in a newly independent African nation. Naipaul gives us the most convincing and disturbing vision yet of what happens in a place caught between the dangerously alluring modern world and its own tenacious past and traditions. First of all, I love the beautiful simplicity of this story of change and spiraling evolution in a crossroads African village on a Bend in the River (Congo?). Here is a modern novel, way above the class of the recent wave of complex and cliche ridden historical fictions. Here is a 'tip of the iceberg' novel, where so many layers of meaning and emotions arise out of an almost childlike diary-like narrative and run very deep. I was thinking about this book for a week after I read it and, could not, did not want to start another book until this one had settled a little in my psyche - A lot like listening to a great piece of music or having a spectacular meal and then not want to here or eat anything special for a while. I found the experience of reading/listening to be nothing less than transendental, on the order of a Kawabata or Steinbeck. This is the counterpart to the difficult modern fiction of Joyce, Faulkner, Woolf, and even Rushdie. Here, less is more and absolutely no struggling is required on the part of the reader, yet the author seems to effortlessly take you to on a journey that is compared to Hearts of Darkness, but there is nothing murky here. The waters are clear and devastating. 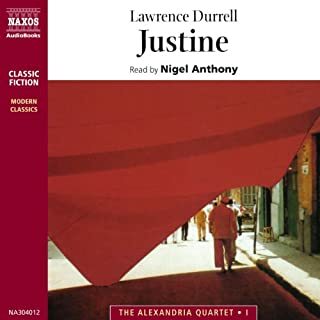 Justine is the first volume in The Alexandria Quartet, four interlinked novels set in the sensuous, hot environment of Alexandria just before the Second World War. Within this polyglot setting of richly idiosyncratic characters is Justine, wild and intense, wife to the wealthy business man Nessim, a mari complaisant. Groundbreaking literature that flows like rhythymic waves of sensual atmospheric honey to the ears and mind. Here are lives and loves and place so exquisitely examined. Abridgement here is a disservice to anyone who has never read this 1st novel of the Alexandrian Quartet, and painful to one who has. Sigh; Dream; Ache; Fear; Yearn for more. An amazing conglameration of characters interact in wild, passionate and complex arragements and operatic-like scenes that display Dostoyevsky's depth and mad brilliance as psychology, religion, pre-revolutionary society, action and inaction!, suspense, amazing dialogue and the issues of love, death, chance and the meaning (or lack of meaning) of life swirl all around and eventually coalese, perhaps!. 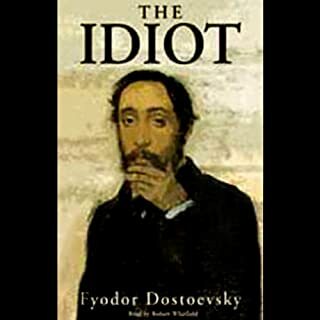 The translation seems somewhat dated and stilted, and the voices, which really do help differentiate the characters (often an issue when 'listening' to classic Russian novels), sometimes seem inappropriately, annoyingly inflected. Also, drags on in parts. Abridgement tries to get around theses problems, but (this) unabridged rendition is 'the only way to go' to get the real experience. Unexpectedly easy to follow, but I still would not recommend this to someone unfamiliar with Russian literature. Certainly, not for all tastes. Overall, a great undertaking with fabulous highs and a blessing for non-Russian readers.